We did a two week family holiday to Hawaii with 2 adults and 2 children. The kids were 4 and 6-years old at the time. We have been to Honolulu before and had stayed a few nights in Waikiki at several different resorts and knew that was not the place for us. The beach is way too crowded for young families. This time we did it differently and decided to go to quieter and more exclusive destinations. We flew Air New Zealand from Auckland to Honolulu. I have elite status on Air New Zealand so a few perks when flying in economy with the family. The new international Koru Lounge was comfortable with decent food. On the plane, we had 2 sky couches. Each sky couch is essentially 3 economy seats where the foot rests come right up flat and you get a bed. Comfortable for the kids as they can sleep flat, but definitely cramped for the adults who are sleeping with them. We arrived in Honolulu early morning and caught a flight straight to Maui. 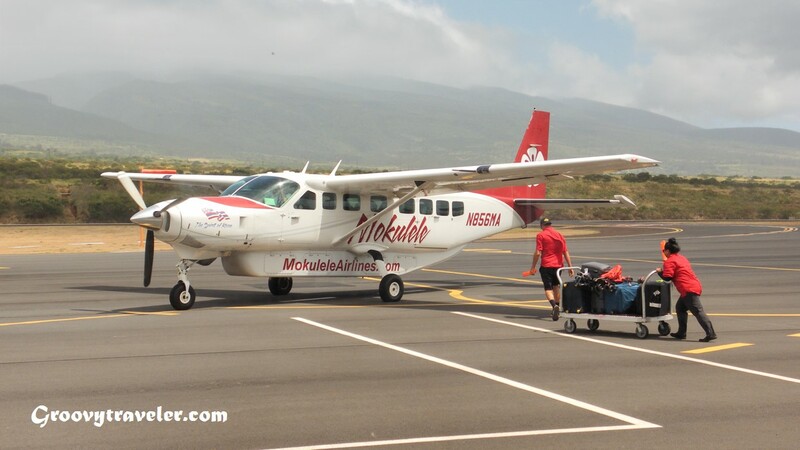 We chose to fly Mokulele Airlines which use a Cessna light aircraft directly to Kapalua airport on Maui (which is a tiny airport next to Lahaina). 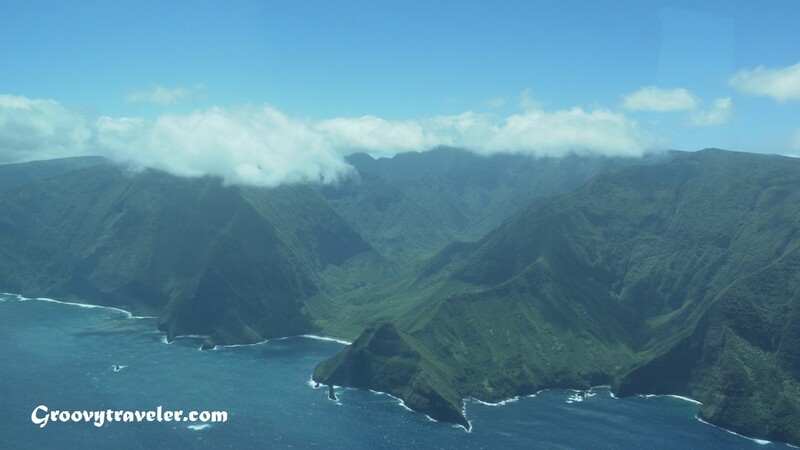 The Mokulele flight was very scenic as we were able to see plenty of the other Islands on the way, but my wife gets easily air and seasick and was feeling a bit green by the end of the trip. The resort we were staying at for the first part of our holiday (9-nights) was the Aston Kanapaali Shores. The airport was literally a 2 min drive away. The Hawaiian airlines jets all fly to the airport on the other side of Maui which is about 45mins by car. The amenities at the Aston Kanapalii Shores were what you would expect from a good 4 to 5 star tropical island resort. We had a nice ground floor 2-bedroom apartment with full kitchen and laundry. With children swimming several times a day, we used the washing machine almost daily – and was one of the reasons we chose the Aston. We had sea views and were right next to the pool, so overall great. My only gripe was the beach at the Aston was tiny, and had strong currents. I am a beach bum, and usually prefer sitting on the beach rather than next to the pool, but this particular stretch of beach did nothing for me. The beach at the Aston – pretty average! The Aston did have 2 nice pools and beautiful grounds that the kids loved. Other pluses included a Times supermarket right next door and a few decent eateries including Mediterranean, Mexican and a pancake place all within 2 min walk which helped constrain the costs of food in Maui (which are high in the resorts). The restaurant on site at the resort was the Beach Club which served up standard pub food and good cocktails. 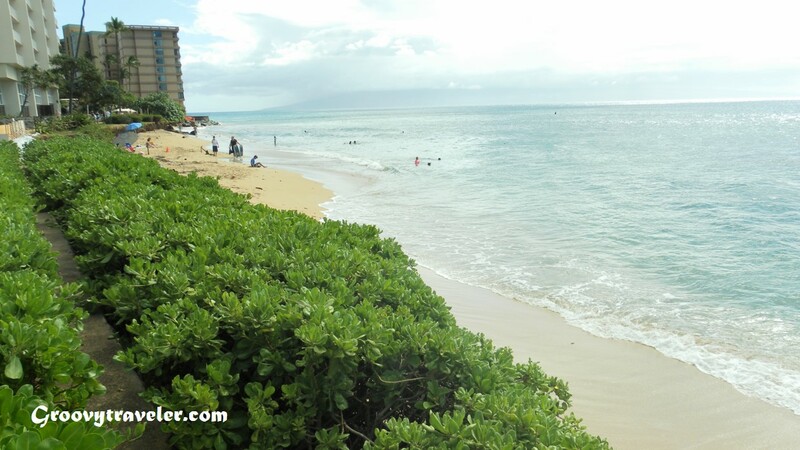 Best snorkeling near us was at Black rock, which is in front of the Sheraton. 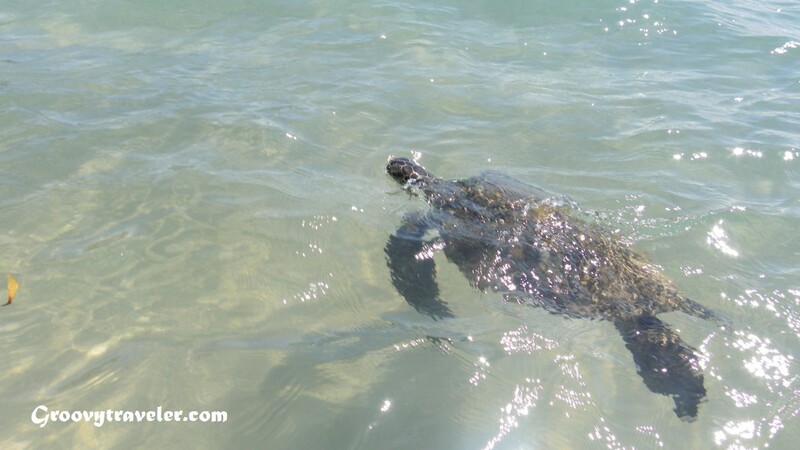 There was plenty of tropical fish, sea turtles as well as teenagers jumping off the rocks. The sea turtles come right up to the beach. This was a popular stretch of beach because of the turtles, so was pretty crowded – but not to the extent that you felt uncomfortable with young children. The stretch of beach from the Sheraton to the Westin is very nice, and if we come back I would elect to stay on one of the resorts in this area . To get to Black Rock from the Aston Kanapaali Shores was a 45 min walk along a beach board walk – but would have only been a 5-10 min drive if you had a car. 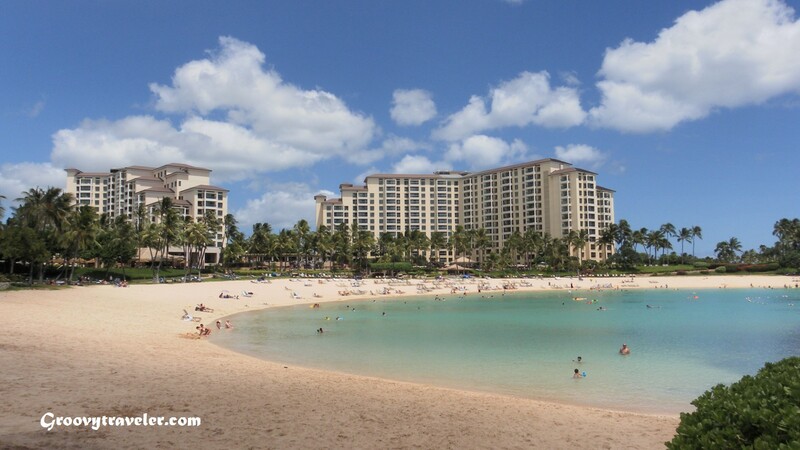 On the way back, we stopped off in Oahu and stayed 4 nights at the Marriot Beach Club in Ko Olina. Marriot Ko Olina and its lagoon. This place is great with children – we have stayed here before. 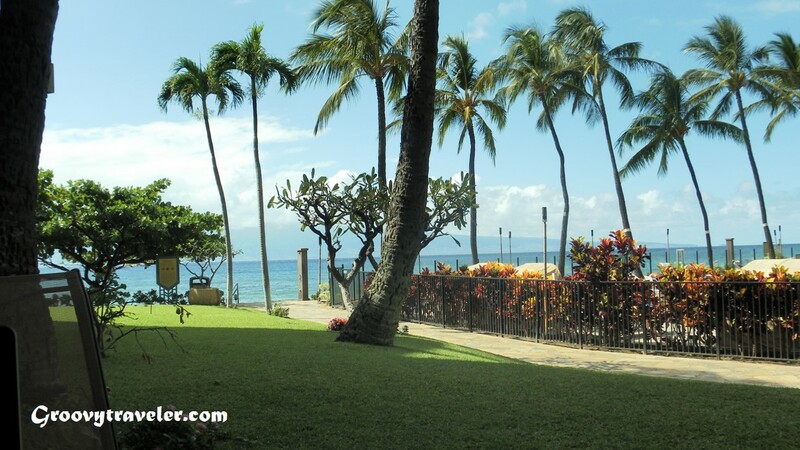 This is a beautiful property in the luxury resort area of Ko Olina. Next door was the Aulani Disney resort (much more crowded than the Marriot). The resort area of Ko Olina has 4 man-made lagoons with idyllic beaches. The Marriot has one of these lagoons to itself, and 3 pools. We had a beach front / sea view apartment which had full kitchen and laundry facilities. The resort runs daily fitness activities and kids activities – including meeting Kariel the mermaid. Both my kids loved meeting Kariel, listening to the stories she told, and swimming with her. The main shopping area of the Ko Olina resort area has an ABC store (supermarket) and a few restaurants. Our favorite of these was Monkeypod which served up very tasty meals that were created by Peter Merriman. In the 4 days there we went back twice. GroovyBoy (aka my 7 year old son) also wrote about his experience of this trip – which you can link to here.